Unlined jacket with cut reflector details and panels in high vis for increased visibility. 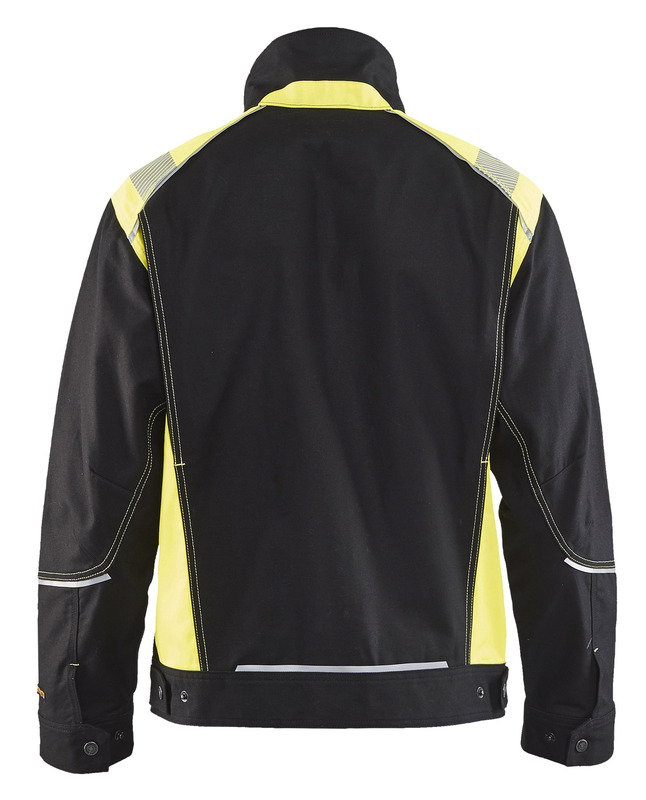 The jacket has pre-bent elbows, bellowed back panel and an adjustable hem for optimal working comfort. Sanforized (pre-shrunk) tightly woven cotton. Soft, comfortable but hard wearing cloth. 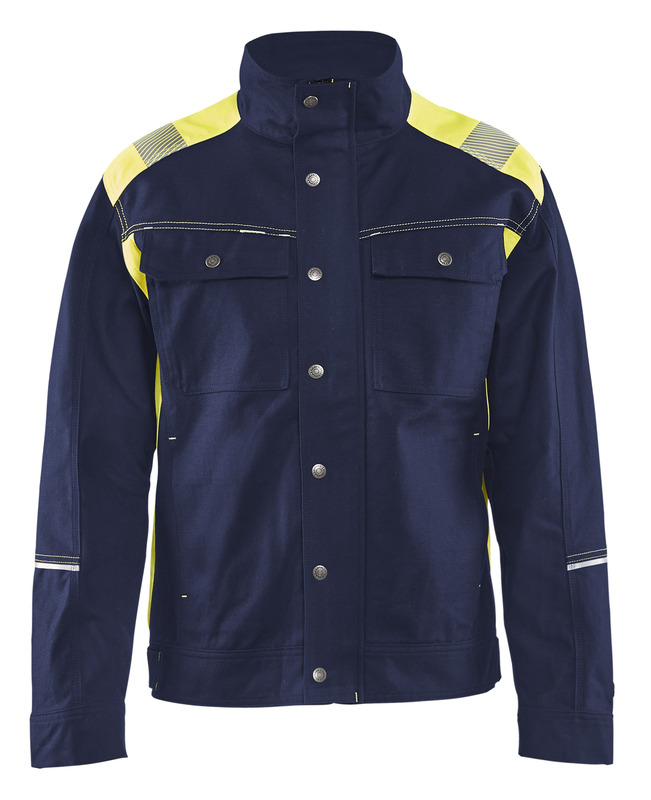 Resists weld spatter and grinding sparks, but is not treated for flame-resistance. Oeko-Tex®100 certified material. Used by many tradesmen.